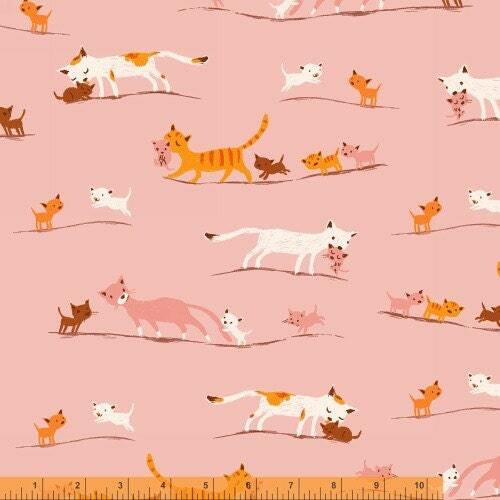 Sweet illustration by Heather Ross on cotton lawn fabric. 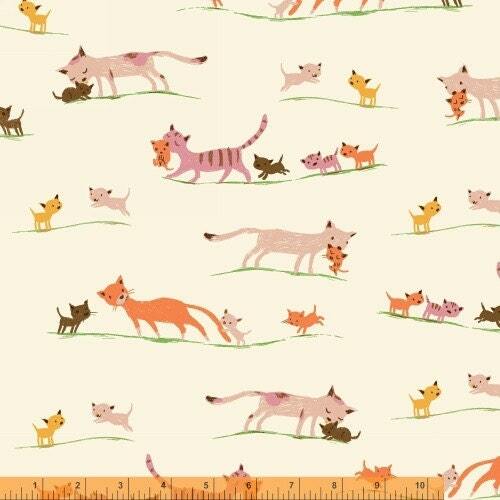 These Tiger Lily fabrics feature barn cats and babies, pretty butterflies and and lovely ballet dancers. 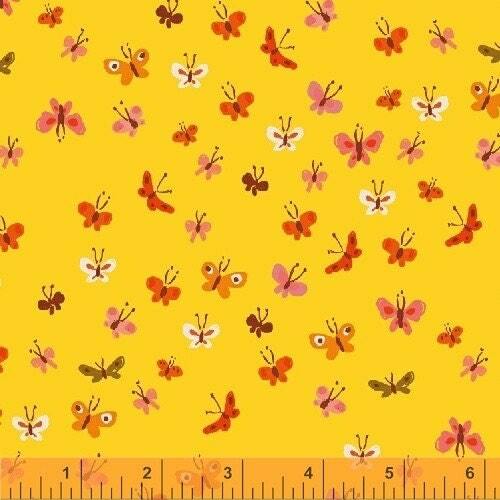 100% Cotton lawn ( soft, airy, lightweight, smooth feel). A fat quarter = 18"L x 27"W ( 46x67cm), wider than the regular cotton version. 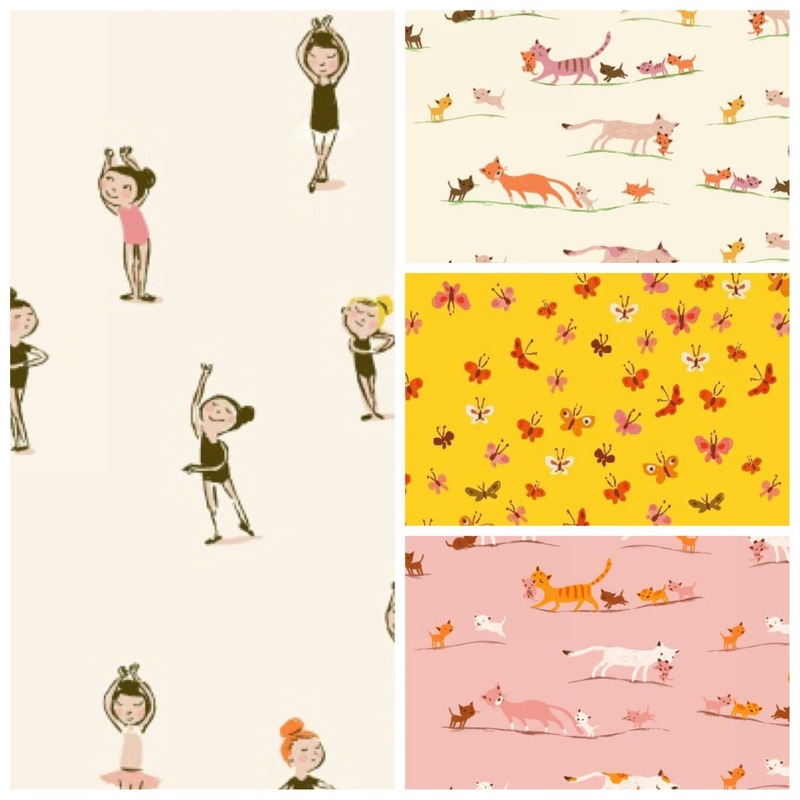 You will get 4 FQ cuts, 1 each of the fabrics shown above. About 1 yard of fabric in total.